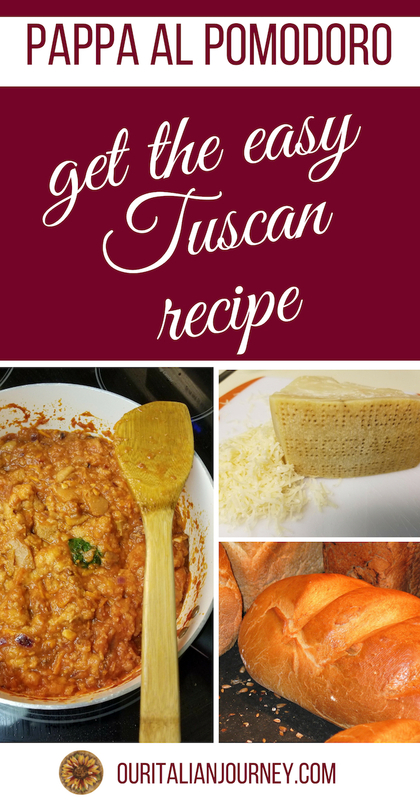 This soup can be found all over Tuscany and is delicious and quite easy to make. It makes good use of your day-old Italian bread and is ready in about an hour. Why not give it a try? 4 cups stale bread cubes cut into 1-inch cubes. I use an Italian type loaf of bread. In a medium Dutch oven over medium-high heat add the olive oil and pancetta. Meaning, in the same pan, add the red onion, carrot, garlic and red pepper flakes to the pot. Reduce the heat to medium and cook, stirring often, about 1-2 minutes. Add the salt, canned tomatoes, chicken (or vegetable) broth, and bread cubes; stir to combine. Add the Parmesan rind and a few sprigs of basil. Bring to a simmer, then reduce the heat to maintain a gentle bubble. Continue to cook and after about 5 minutes, add in the pancetta. Cook for 25 minutes, stirring often to break apart the bread and prevent anything sticking to the bottom of the pan. If the soup gets too thick, add extra broth as needed. There are times I have added up to 2.5 cups of additional broth as I didn't measure out the bread. It is supposed to be a thick and hearty soup so don't expect it to be a thin consistency. Right before serving, add in the grated Parmesan cheese. As you can see, I like a lot of basil in mine! Note: I keep a ziplock bag of all my Parmesan rinds to use when making many recipes such as this and even pasta sauce! 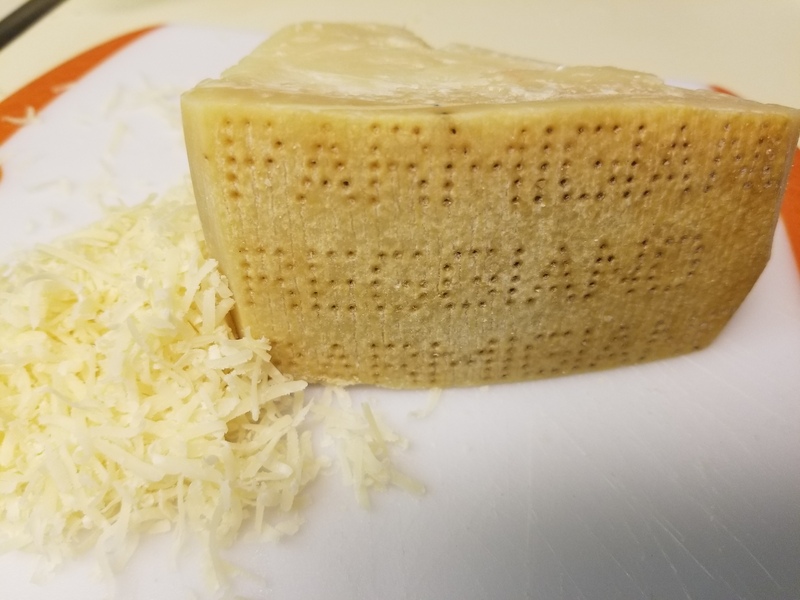 Just remember when using Parmigiano rind, make sure you don’t add too much extra salt as the cheese has plenty in it already! You can freeze any leftovers for another day! 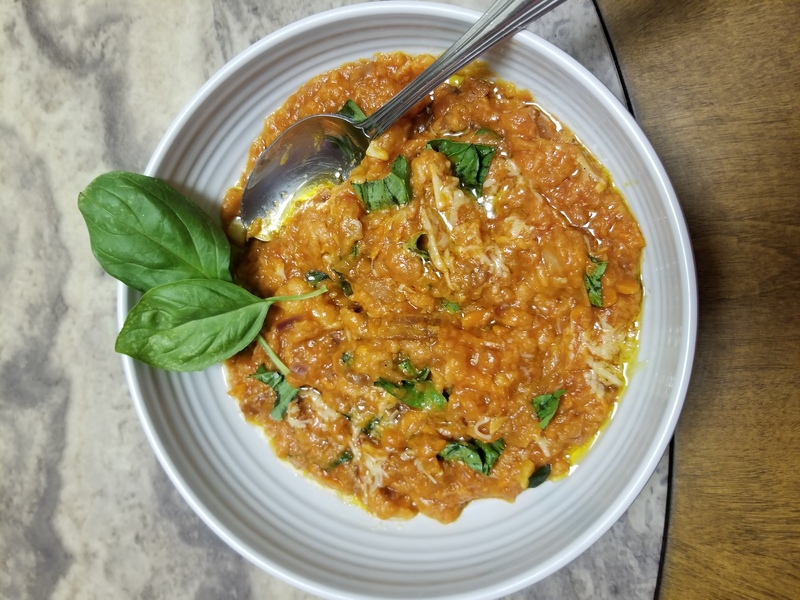 We’d love to hear comments on how your family enjoyed this recipe! Gelato Festival | In America For The First Time!